If there was ever a prize for the coolest city in the Middle East it would have to go to Beirut. Well certainly not me before I touched down in Lebanon otherwise I would have allowed myself more than 10 days here! 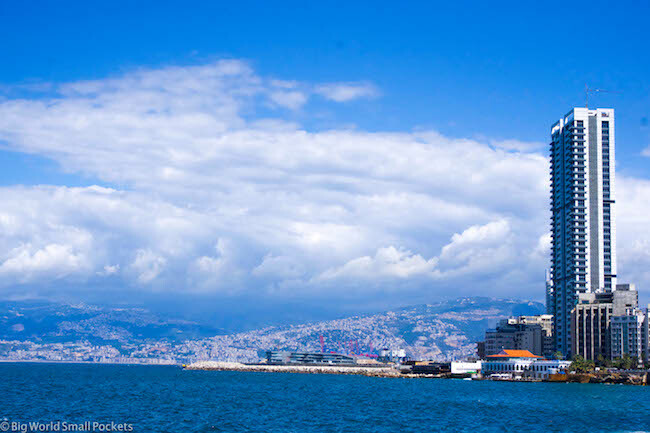 For while Lebanon is a tiny country, there’s so much to see and do in its wonderful capital that I could easily have spent 10 days here without even seeing a speck of what other treasures lay in this off the beaten track beauty. 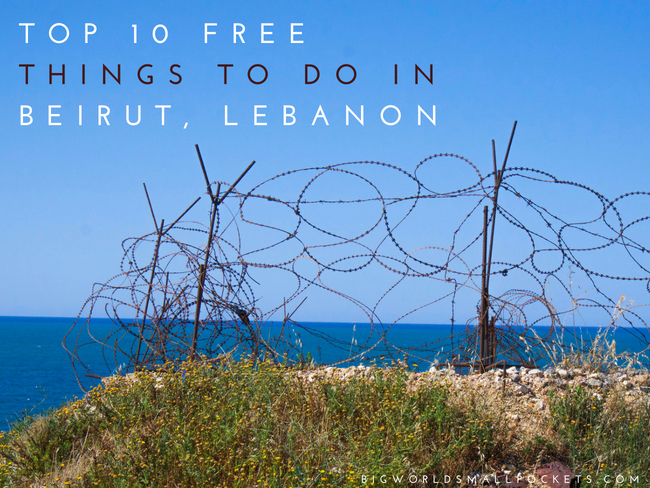 For Lebanon is a beauty, a real gem in fact, and here’s my list of the 10 best free things to do in Beirut if you’re thinking of discovering this incredible country soon too. 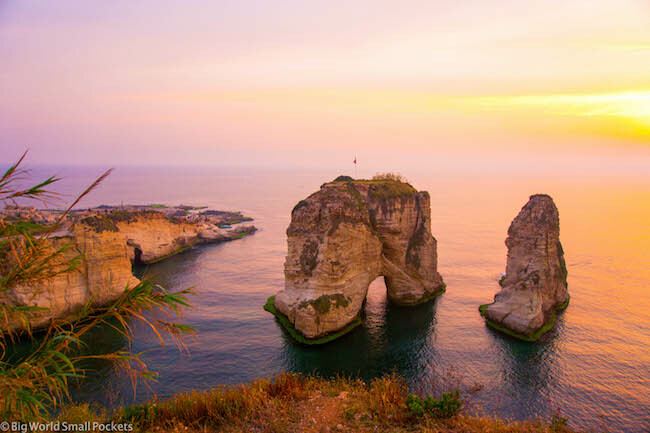 One of most picturesque areas in the city, the Corniche, which stretches along the glitzy waterfront of this capital is an amazing place to stroll and doing so is definitely one of the best free things to do in Beirut. This is particularly true on a Sunday when hordes on families come out to enjoy a stroll too and with local fisherman lining the sea wall and local men sunning themselves on the rocks below, this is a great place to get your people watching fix. Who knew Lebanon had a beautiful natural archway to rival Malta’s now deceased specimen or those along Australia’s Great Ocean Road. But it does, and checking out The Rock, as it’s called, is definitely one of the best free things to do in Beirut. This is especially true at sunset when its Western aspect gives this scene the most stunning colours and you can even walk right down to an outcrop beside it to check out the nearby cave. 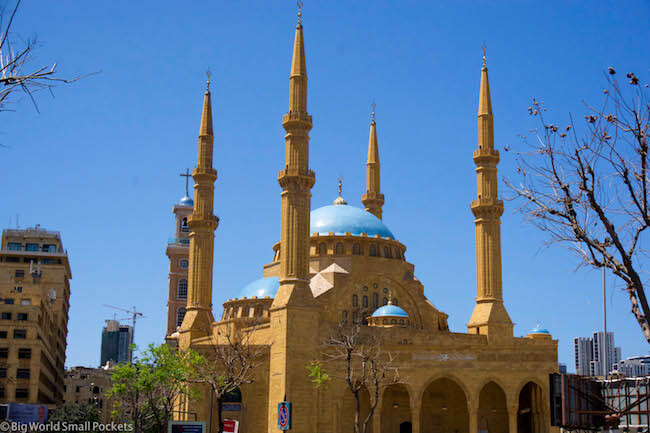 Beirut’s largest mosque is a beauty and hard to miss, situated right in central downtown. Its distinctive blue dome provides some great photo opps especially as, from the right angle, the spire of a church can be viewed directly behind the mosque’s minaret. Speaking volumes about Beirut and its diverse community, I think it’s fair to say, the magic is in the mix. If there’s one bit of Beirut I had to say I loved the most, it would definitely be the Gemmayze / Mar Mikhael area. 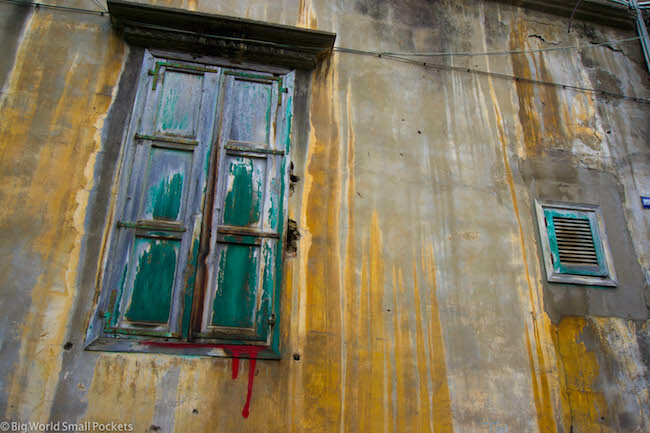 This young, vibrant, arty and very fun district has more cool stuff going on than you can shake a stick at and is stuffed full of great cafes, galleries and graffiti. It’s not cheap, but if you want your green smoothie, yoga class, live music or craft beer this is the place to hang. Otherwise, wandering the streets here soaking up the vibe and marvelling at the regeneration of this great city after a long and traumatic civil war is another great free thing to do in Beirut. Top places to drink in the Gemmayze / Mar Mikhael area are Kalei Café, Sip Café, Colonel Bar. Top places to eat in the Gemmayze / Mar Mikhael area are Le Chef, Saj and Mayrig. 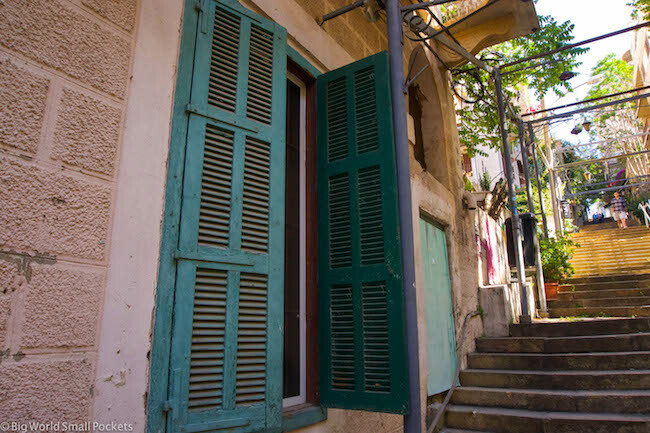 And the best place to stay in the Gemmayze / Mar Mikhael area is Hostel Beirut, which has a great location and some of the best priced dorms in the city. So if you’re still not getting the impression that Beirut is host to an incredibly bohemian, politically active, environmentally conscious microculture, then the fact that this city also hosts 2 weekly amazing producers’ market will probably seal the deal! 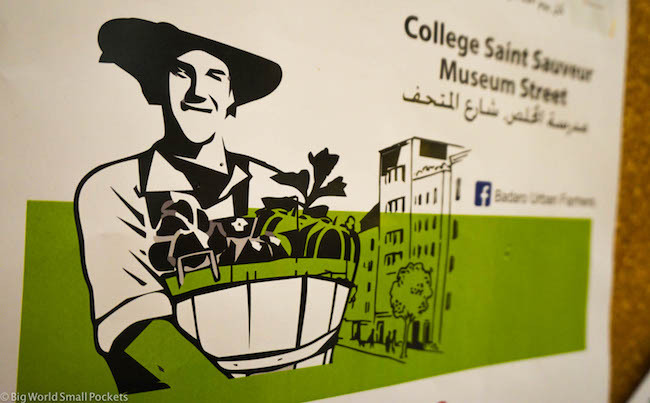 Certainly one of the best free things to do in Beirut, checking out either the Souk el Tayeb on Saturday or the Baradro Urban on a Sunday will not only show you just how amazing the food Lebanon produces is, but also how progressive a city this is. I absolutely loved this cute little gallery, situated in the Gemmayze district of Beirut and found its contemporary exhibitions both thought-provoking and delightful. Set within a renovated merchant’s house, the second floor beautifully shows some rooms renovated in all their glory, with some incredible old photos from Beirut and the Middle East – including Jerusalem and Jordan – at the turn of the century. Absolutely captivating – especially if you’ve been to any of these cities and seen what they’re like today! #1 Lebanon Bradt Travel Guide – A great guidebook for the maps and background info on this layered and complex country, Bradt make a top job of covering this off the beaten track destination. #2 Camera – I highly recommend the Sony A6000 mirrorless camera, which is small, compact and ideal for adventurous travellers. #3 Walking Shoes – There’s going to be a lot of sightseeing in Lebanon, so good day shoes are a must. I love my New Balance trainers, which are city friendly and super comfy. #4 Bikini – When you see that glistening Mediterranean Sea, there’s no question you’ll want to dive straight into it. Don’t hold back and come prepared to Lebanon with a beautiful Rip Curl Bikini. #5 Small Day Backpack – With hiking and historical day trips a plenty in Lebanon, having a backpack to house your camera, sunscreen, water, snacks and guidebook is a must here and the Bobby Anti Theft Backpack is ideal for the job – I can guarantee it! You can’t go wrong with a free city tour in my opinion, especially in a city as layered and loaded as Beirut. Trying to wrap your head about the cultural complexity of this city, as well as its chequered history, really is a whole thing, so having someone to help you out with some background info can be a great aid! And that’s why the weekly free city tour that runs every Tuesday is definitely one of the best things to do in Beirut. 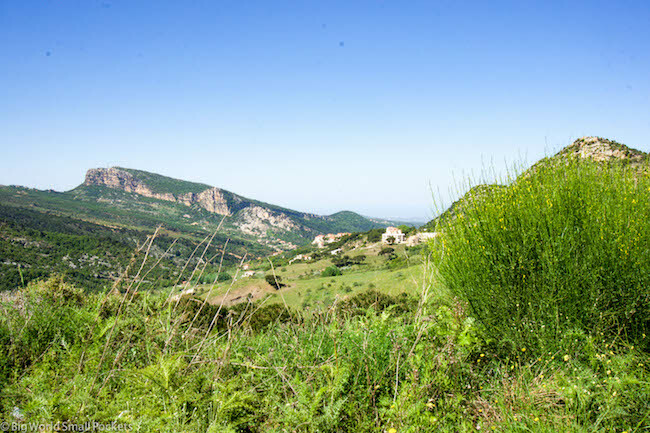 Being so small, it’s easy to explore much of what Lebanon has to offer simply as part of a number of day trips from Beirut. Jeita Grotto & Harissa, Tripoli, Byblos & Batroun, Cedars & Qadisha Valley, Tyre / Sour. 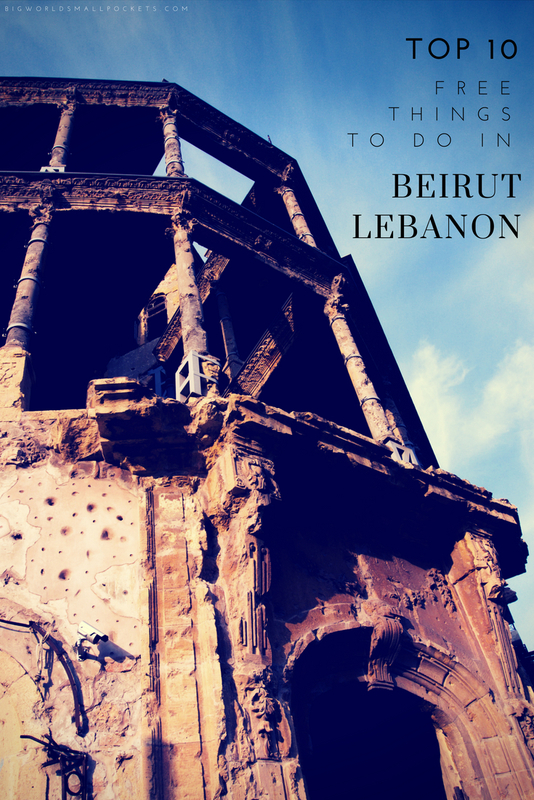 Learn more in my top Lebanon itinerary. Over in the Hamra region of the city, the American University of Beirut is a gorgeous spot to get away from the pace of the capital and retreat to enjoy a little solitude in Beirut. With its beautiful gardens and archaeological museum, both free to access, wandering here to spend a peaceful afternoon is definitely one of the best free things to do in Beirut. 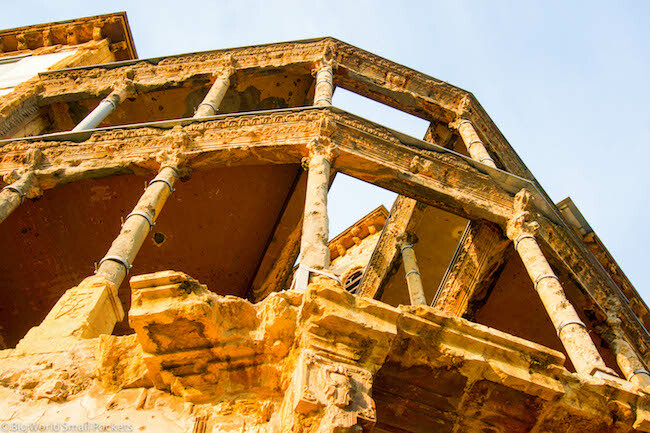 An important cultural landmark that few travellers seemingly know about, Beit Beirut beautifully showcases the scars of Lebanon’s civil war, pieced together in the years since as a living cultural centre. 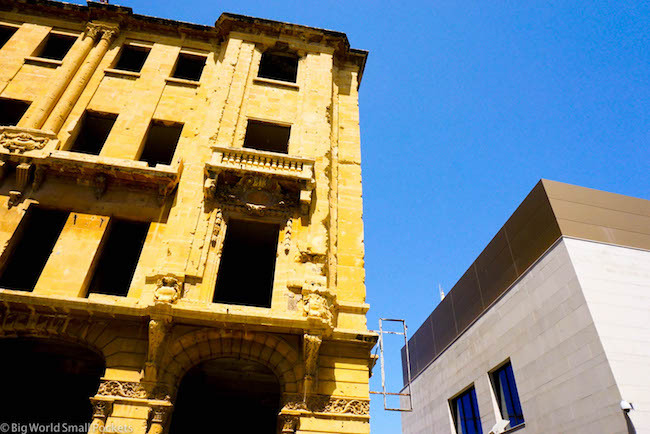 With important political and cultural exhibitions, this is a significant Beirut building whose story is told as much by its walls as by what lies inside them. 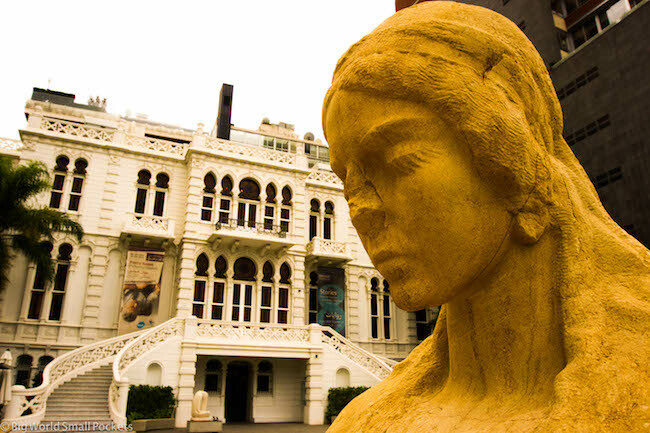 Located on the city’s former green line – the infamous physical border of the civil war – heading to Beit Beirut, also known as the Yellow House, is definitely one of the best free things to do in Beirut. 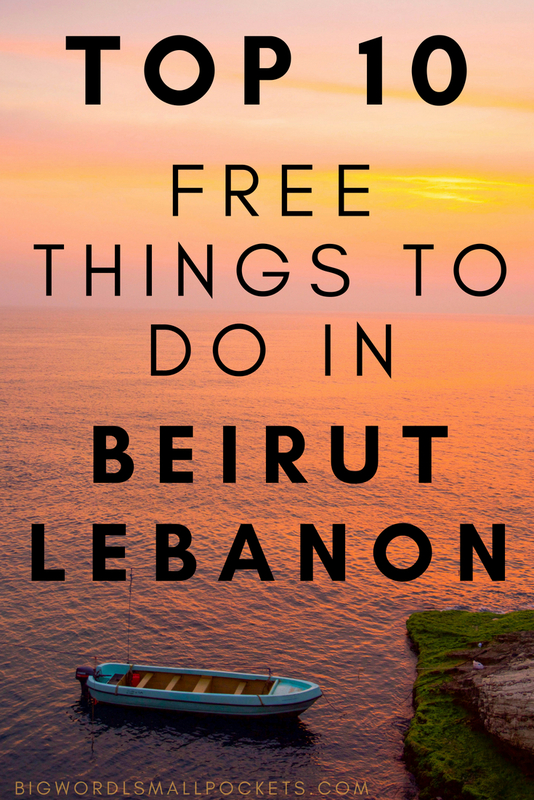 And this leads me perfectly into talking about my final entry on this list of the 10 best free things to do in Beirut, which is simply to soak in this city, not least its amazing architecture. Known as the Paris of the Middle East, the beautiful and character-filled buildings here are ripe with beauty and intrigue. A fascinating, if not scary history, seeps out of the walls here just as much as the outspoken, politically active and positive street art plasters them. From atmospheric backstreets to geranium-filled balconies, there’s more whispered and forgotten narratives filling every shadow here, than I’ve felt in any place ever. 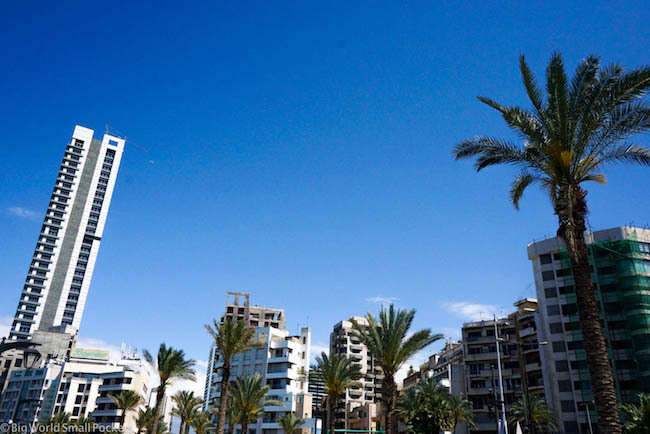 Beirut is enchanting, enticing, enigmatic, energetic and electrifying… I dare you not to fall in love with this city too. So please tell me, have you visited Beirut? Did you fall totally under its charm too? Thanks for this. Lebanon is one of those countries I’ve wanted to visit for years, but haven’t made it a priority. It’s a country with a rich culture and history that I’m curious to explore first had. Plus, any chance to eat Lebanese food at the source, would be amazing.